After a breezy, feel good, rom-com Vanakkam Chennai, director Kiruthiga Udhayanidhi is gearing up for her next titled as Kaali which will have Vijay Antony as the lead under his production. We indulged in a small chat with Kiruthiga. Kaali is a family entertainer. Vijay Antony is great to collaborate with. He is someone who does not mince his words. Why did you choose Vijay Antony for Kaali? It is actually the other way round. He chose my script. He is known for going for unusual and out of the box script and that’s how this collaboration happened. 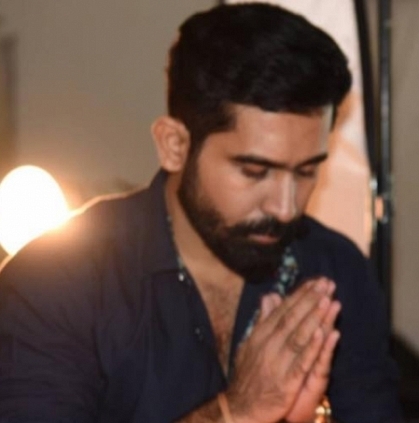 What kind of role Vijay Antony would be playing in Kaali? It will be different from his earlier ones. When are you beginning shoot? We are planning to begin towards the end of May. We wish you the best Team Kaali! Will CSK choose a brand ambassador again? Killer news: Simbu just made 2 massive announcements! Ko actress to make a strong comeback! Here is the much awaited special announcement from STR! You are going to be surprised!